November 24, the Kyiv district court of Simferopol issued a ruling on the preventive measure against the Crimean Tatar activist Bekir Degermendzhi who was detained yesterday, November 23, during the searches. He was arrested until January 15, 2018, according to QHA's own sources in the Crimea. In the corridor of the courthouse were several people in balaclavas. The hearing was conducted by Judge Mozheliansky. Solodkov, the lawyer of Bekir Degermendzhi, challenged the judge since the latter did not find out whether the defense had questions about the identity of the accused. The judge refused the challenge. Moreover, the judge rejected the motion for photo and video from journalist Anton Naumlyuk, denied a request for medical examination and staying outside the "aquarium" until the court decision. Investigator Pogorelov read out a petition stating that Degermendzhi, Chapukh, Ametov and Trubach had extorted from a Turkish citizen. This is allegedly confirmed by his testimony and the materials of the operational shooting. He asked the court for two months in custody for the 57-year-old Crimean Tatar Degermendzhi. Among the grounds are the gravity of the charge and the presence of a Schengen visa in the Ukrainian passport. The defense of the activist insists on house arrest. Asan Chapukh, Bekir Degermendzhi, Kazim Ametov, Ruslan Trubach were detained for 48 hours. They are charged with "extortion". The amount of the bribe, which they allegedly extorted from a citizen of Turkey was 7 thousand dollars. The Turkish citizen, who was allegedly subjected to extortion, was Yusuf Aytan, he cohabited with different women and owed money to several people, among them was Vedzhie Kashka, a veteran of the Crimean Tatar national movement. The activists, feeling respect for the Vedzhie’s family, intervened in the situation and tried to help. As a result of the actions of the security forces in the Crimea on November 23, 83-year-old Vedzhie Kashka, a veteran of the Crimean Tatar national movement, died. 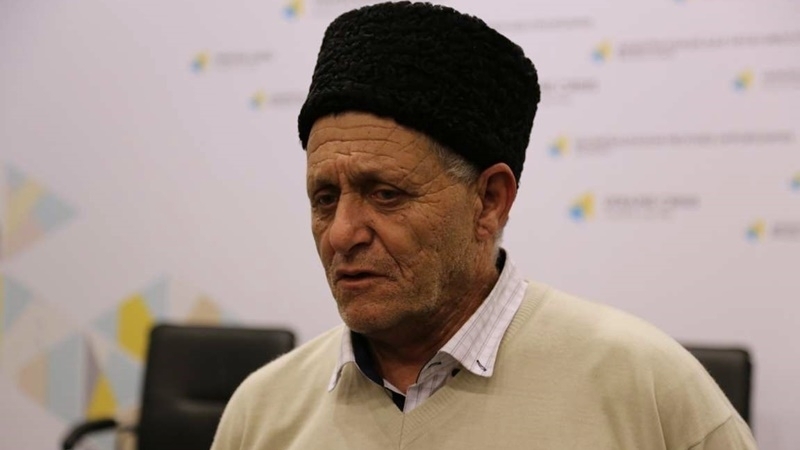 The Prosecutor's Office of the Autonomous Republic of Crimea has opened a criminal investigation into the facts of illegal searches, detentions and death of a veteran of the Crimean Tatar national movement Vedzhie Kashka.